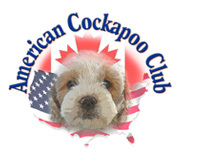 The American Cockapoo Club is a Registry and a Club that is dedicated to promoting the Cockapoo as a breed unto its own, while encouraging and supporting its Cockapoo breeder members. Our Web site is also intended to help educate the general public about Cockapoos, as well as provide information on how to care for your puppy or dog. Are you interested in purchasing a Cockapoo puppy? 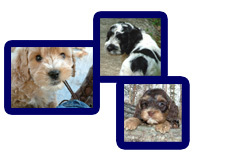 Find a breeder in your area with our easy-to-use breeder list.or learn more about Cockapoo puppies in our Cockapoo Information pages. Are you interested in becoming a part of the fastest growing Cockapoo Club in North America? 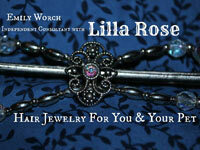 Our website has over 1,200 visitors each day. JOIN THE ACC. If you want to adopt an adult Cockapoo, Poodle, or Cocker Spaniel check out our new RESCUE PAGE. Some beautiful Cockapoo Puppies at about 8 weeks old. ©2015 American Cockapoo Club LLC. All rights reserved. Web design by Upstate Media.